"The girls can be tough. I'm not going to lie, they can be very tough." 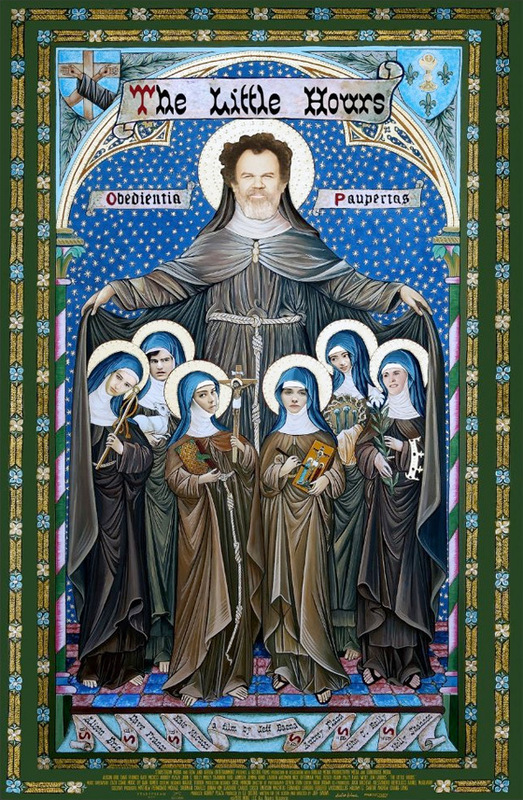 Gunpowder & Sky has revealed the first red band trailer for a wacky comedy titled The Little Hours, which first premiered at the Sundance Film Festival this year. Alison Brie, Aubrey Plaza and Kate Micucci star as three dirty, horny nuns in this comedy. Everything seems fine at their convent until Father Tommasso brings on new hired hand, a virile young servant forced into hiding by his angry lord. John C. Reilly and Dave Franco also star, along with Nick Offerman, Fred Armisen, Molly Shannon, Jemima Kirke, Paul Reiser, Adam Pally. This looks totally nuts. And I love that quote from Catholic League in the trailer: "It is trash. Pure trash." Medieval nuns Alessandra (Alison Brie), Fernanda (Aubrey Plaza), and Ginevra (Kate Micucci) lead a simple life in their convent. Their days are spent chafing at monastic routine, spying on one another, and berating the estate’s day laborer. After a particularly vicious insult session drives the peasant away, Father Tommasso (John C. Reilly) brings on new hired hand Massetto (Dave Franco), a virile young servant forced into hiding by his angry lord. Introduced to the sisters as a deaf-mute to discourage temptation, Massetto struggles to maintain his cover as the repressed nunnery erupts in a whirlwind of pansexual horniness, substance abuse, and wicked revelry. The Little Hours is both written and directed by American filmmaker Jeff Baena, of the films Life After Beth and Joshy previously. This first premiered at the Sundance Film Festival. Gunpowder & Sky releases The Little Hours in theaters starting on June 30th.